The Lord- Lieutenant of the West Midlands is Her Majesty’s personal representative and the role involves supporting civic, ceremonial, voluntary, charitable and social activity. 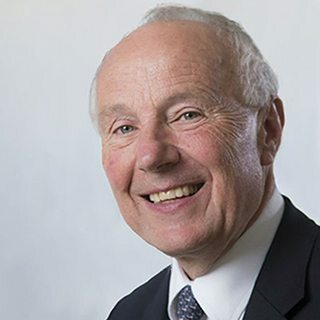 John Crabtree, OBE, is the Lord-Lieutenant of the West Midlands and he is supported by the Vice Lord-Lieutenant, Deputy Lieutenants and a small secretariat. “I am enormously proud of the West Midlands – its people, its communities and above all, its energy. We have one of the youngest populations in Europe. We are culturally and artistically diverse. We are hugely creative and entrepreneurial – and we are home to thousands of enterprises that make a significant contribution to the nation’s economy. The people of the West Midlands can be proud of its achievements that are recognised throughout the world. The West Midlands Lieutenancy is the second largest lieutenancy in England and Wales supporting a population of nearly 3 million people across the seven local authorities of Birmingham, Coventry, Dudley, Sandwell, Solihull, Walsall and Wolverhampton. Although the West Midlands’ metropolitan county was only formed in 1974, the office of Lord-Lieutenant dates back to the 16th century and the reign of Henry VIII. Arranges and supports visits to the West Midlands by members of the Royal Family who are accompanied by the Lord-Lieutenant or his representative whilst in the area. Advises on nominations and honours – including The New Year Honours and The Queen’s Birthday Honours. Helps identify companies and enterprises that might be considered as recipients of The Queen’s Award for Enterprise. Presents medals, Queen’s Awards and other commendations including planning and organising the presentation of the British Empire Medal held each year in the West Midlands. Maintains and encourages links with the civic authorities, armed forces and the emergency services.